For an added level of customization, you can now get vinyl graphics including stripes and custom designs right here at DeDona Tint & Sound! Give your ride a unique look with subtle accents and stripes, or make an even bolder statement with precision-cut designs that are sure to turn heads. Get a Fresh, Bold Look! Our goal as always is to help our customers enjoy their ride. Sometimes that means a new stereo system, navigation, or window tinting. For the enthusiast, however, sometimes those things just aren’t enough. Vinyl graphics from DeDona Tint & Sound let you express a visual statement in any way you choose, and as always, this service is backed by our warranty which covers workmanship and protects against defective materials and installation. Call us today at (336) 851-1300 or send us a note though our website for more info! We carry only quality vinyl products from 3M and Avery Dennison to ensure application stands the test of time and retains its original appearance. 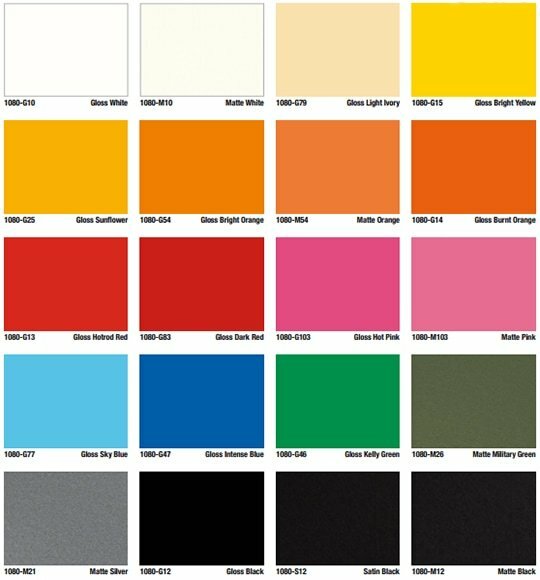 Below you can find samples of the wide variety of colors and patterns we offer through these manufacturers. 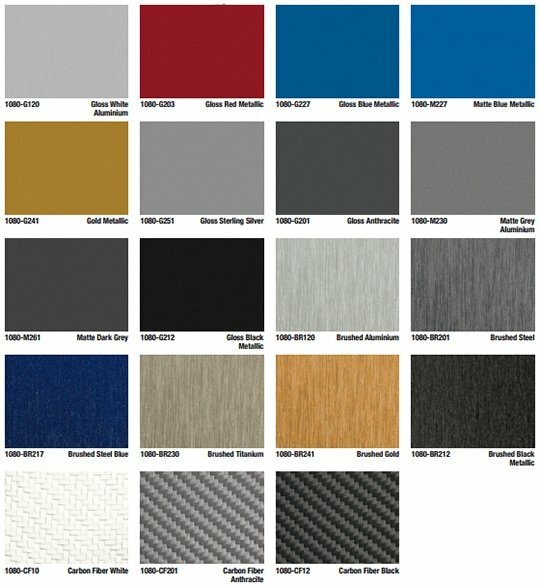 Matte Black, Silver and Carbon Fiber have been the favorites so far, but there are so many more to choose from if you need a particular color scheme.